At this performing arts summer camp, kids spend their days acting, singing and dancing while learning the basics of how to put on a play and film a short movie. While the Jr. 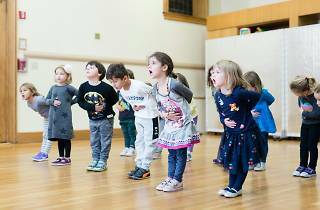 Applause program (ages 3–5; $375–500 per week) is more an oppurtunity for preschoolers to learn the basics of performance in a fun enviroment, older kids can expect a more intensive week of classes. 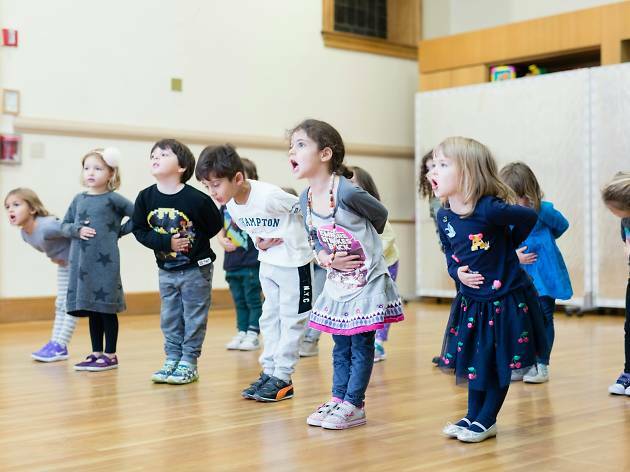 Kids are broken up into age appropriate groups (5–6, 7–8, 9–10, 11–18, $900 per week), with younger kids focusing more on collaborative work, while older kids get the chance to perform solos and learn techniques like improvisation and advanced choreography. Each week has a different theme and a visit from Broadway star who offers tips of the trade. The session ends each Friday with performances and screenings of films created by the students. Jr. Applause Summer Program June 5–Aug16: Mon–Thu, 10am–1pm; $375–500 per week * K–1st Grade Program June 5–Aug 16: Mon–Fri, 9:30am–3pm; $720–900 per week * 2nd–10th Grade Programs June 11–Aug 16: Mon-Fri, 9:30am–3pm; 900 per week. Ages 3–18.